Most people I know would love to be part of a strong family unit, one that stays together and loves each other no matter what life brings, a family in which each member feels loved and valued. But building that kind of family dynamic doesn’t always come easy. As a family in ministry, we’ve been exposed to a variety of family dynamics over the years. Some families are very good at building bonds that keep them together while other families barely remain intact, and still others struggle with dysfunction for generations. No one sets out to raise an unhealthy and unhappy child or family, but many do so by default. So what makes the difference between families that thrive and those that fail? Why do some families seem more close-knit than others? What can we do to keep our family strong? We’ll be exploring these questions and answers over the next few weeks here at Being Confident of This in a series called We Are Fa-mi-ly. 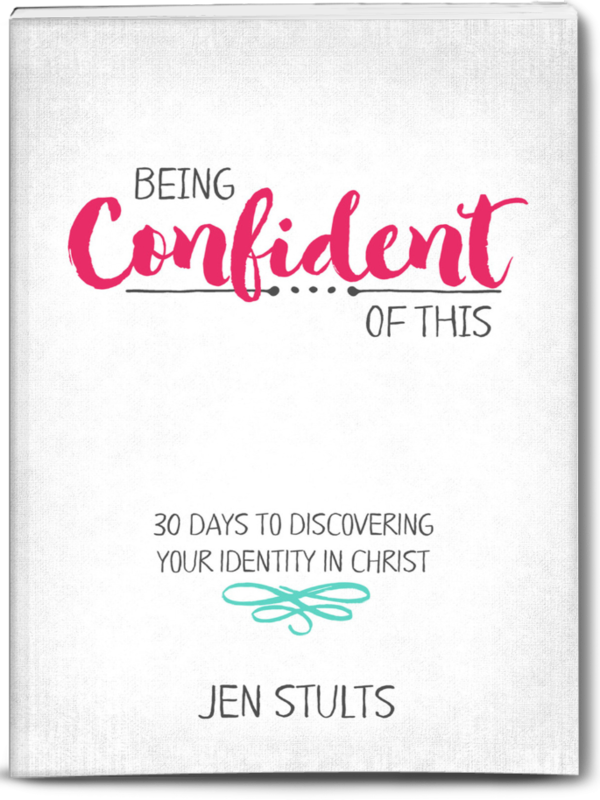 Topics will range from building a family identity to keeping teens in the family, and more. Follow along as we discuss God’s marvelous gift of family! If we want a family that thrives, we’d do well to examine the characteristics of a strong family. So earlier this week, I asked our four children (ages 6 to 15) what makes a good family. If you want to know how to improve your family, consider asking your spouse and children what the family does well and what you could be doing better? An even better source to consider is God’s Word. We can see that families have had a special place in God’s heart from the very beginning! 1. A strong family begins with a healthy, God-centered marriage. In Ephesians (5:25), we see that the relationship between a husband and wife reflects the very nature of God’s love for and pursuit of His people. Children learn much about both human love and God’s love from the relationship they witness between their parents. 2. A strong family maintains a proper relationship between parent and child. In a healthy family unit, parents love their children and because they love them, they discipline and instruct them. Both the marriage relationship and the parent-child relationship serve to help children understand aspects of God’s character: Christ as the bridegroom and God as our Heavenly Father. When either one of these key relationships is damaged, a child’s understanding of God’s character easily becomes skewed. This is why building a strong family is paramount in today’s society. The more dysfunctional family units grow, the less society understands God’s true character! 3. A strong family teaches future generations about the history of God’s relationship with His people. Even more, a healthy family will pass down the record of how God has worked in their own family, too! 4. A strong family puts on love. The best families are those that just ooze with love and make the rest of us jealous, right? 🙂 However, as flawed humans, we are not capable of loving one another perfectly all of the time. 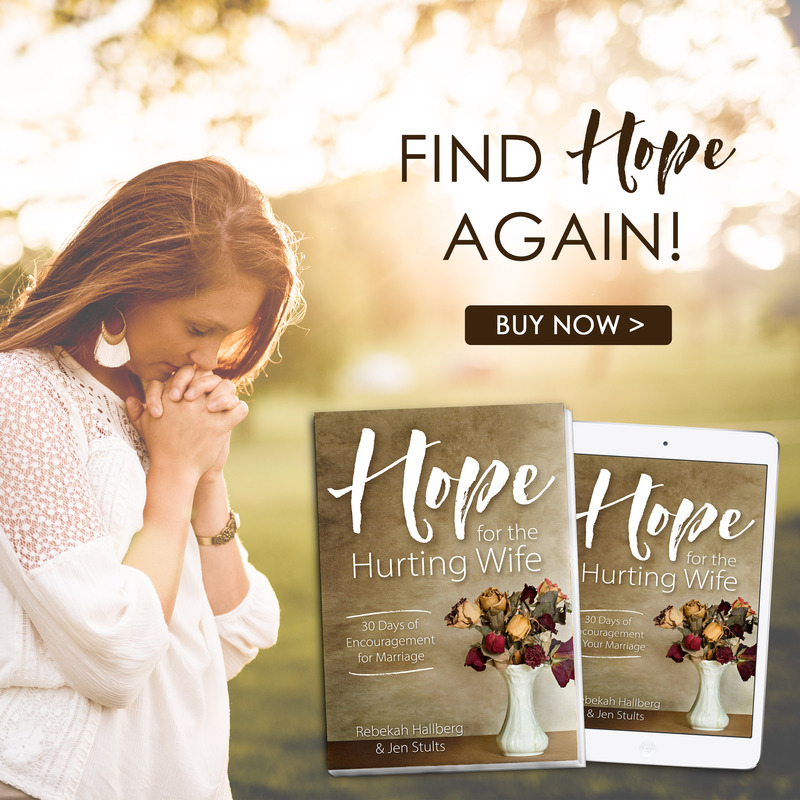 We all have those tense moments when feelings trump truth or miscommunication leads to unnecessary wounds, but a strong family learns to work through those tough times. A strong family learns to embrace the work-in-progress of loving and forgiving one another. 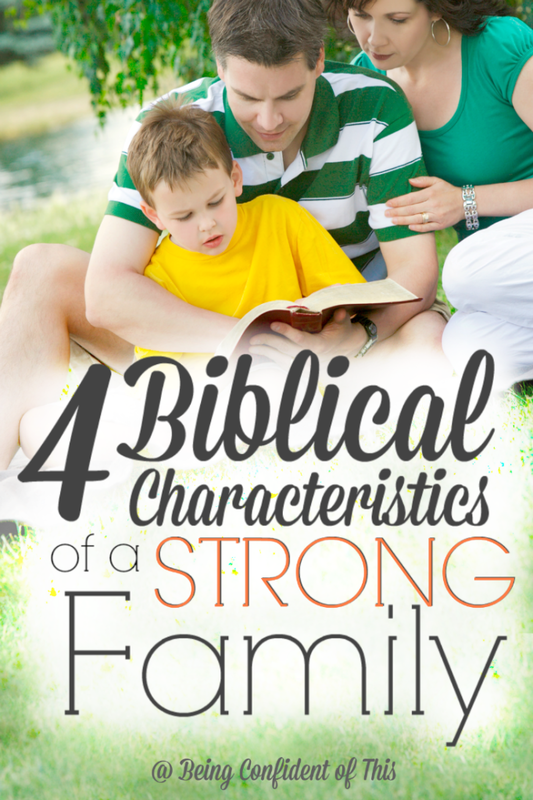 We could probably list several more characteristics of strong families, but these four are foundational. I’m willing to bet most parents desire to leave a legacy of strong family bonds for future generations, but a quick look at the world around us demonstrates that such a legacy does not happen by chance. As mom to a soon-to-be sixteen-year-old, I recognize that the time is all too short. These formative years fly by more and more quickly, and if we’re not careful, we’ll miss out on important opportunities. We must be intentional in building family bonds that last! 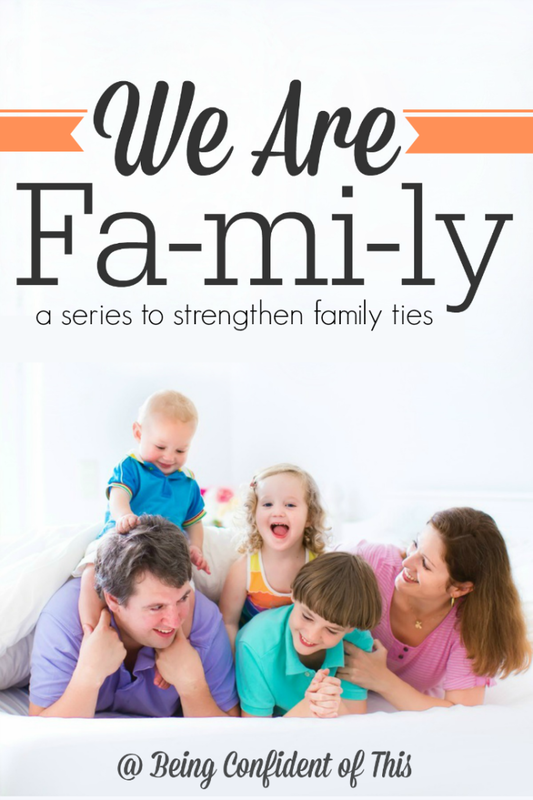 Join us here for the next installment in the We Are Fa-mi-ly series for some practical ways to strengthen your family. Until then, put on love! My husband and I parent 12 children, some biological – some adopted- some foster. We were just asked to head up a family ministry in our church and are looking for ideas, thoughts and encouragement. This post was wonderful. Thank you.